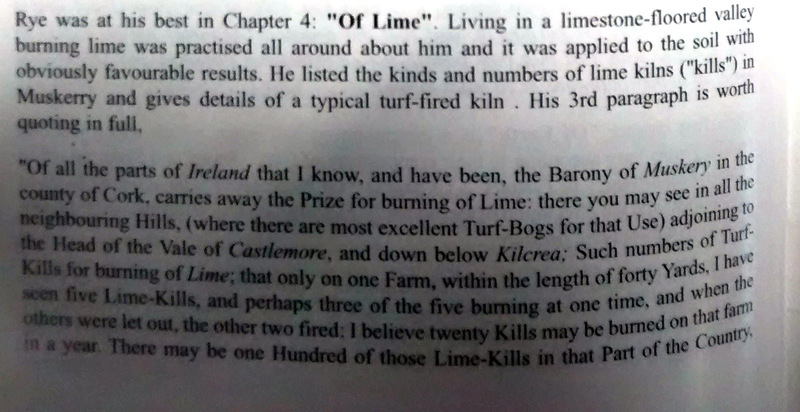 George Rye, Macroom, Co.Cork, Early Agriculturalist, 1730 on the Burning of Lime. 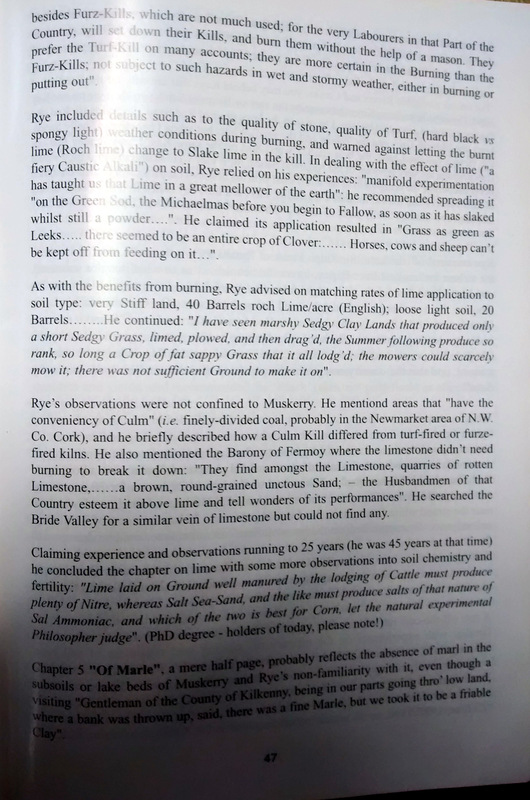 George Rye, 1712, estate through marriage of Alderman John Bailey, of Castlemore, J.P., married 1680 Anne Tuckey, (Cork MLL.B.) 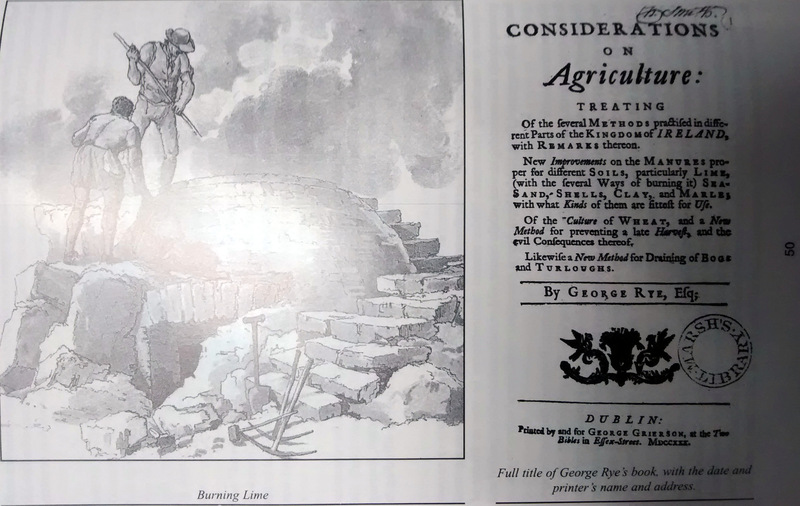 and had issue five daus., of whom the eldest carried the Bailey estates to her husband, Colonel George Rye, Macroom, Co.Cork, Early Agriculturalist, author of work on 1730 on the Burning of Lime.